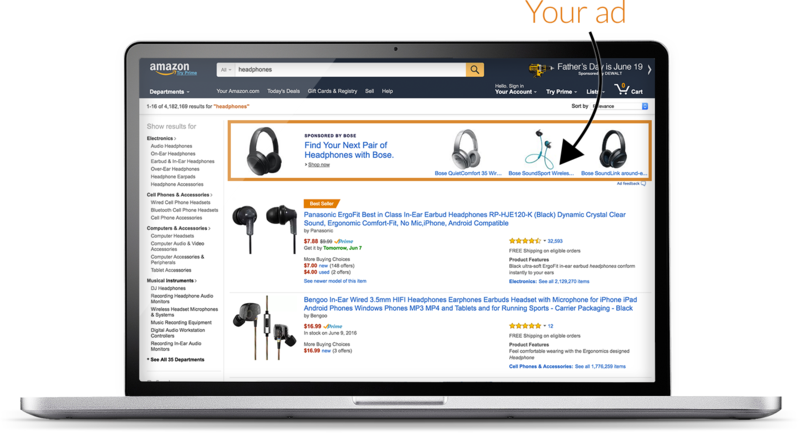 Help more shoppers discover and buy your products by advertising on e-commerce giant Amazon with pay-per-click ads. We will control your ad spend with a daily budget, measure ROI and optimize campaign performance with sales reporting. With Amazon AMS you only pay only for performance and you’re not charged until a shopper clicks your ad. You are able to sell confidently and say goodbye to guesswork by targeting your products using best tested Keywords. We will find the top options to bid on based on customers’ search and shopping history and/or Product. We will study and compare products similar or related to your own for advertising campaigns – so you will have the benefit of proven tactics to get revenue. How are your ads doing? We will deliver reports which gauge impressions, clicks, considerations, sales, and more—so we will know when to revamp creative, add or remove keywords, or adjust bids. We will get on top and stay there with highly attentive tracking and follow-up. Click for e-commerce, social, web and sales report on your company and up to two key competitors.